“The Power to Surprise”. 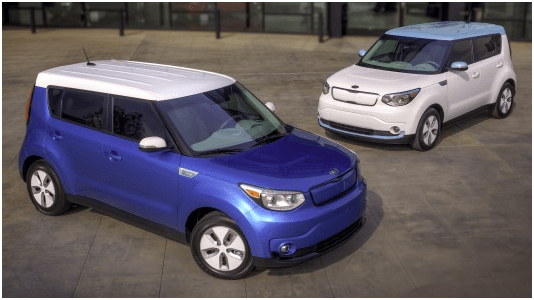 The motto of Kia Motors Corporation (South Korea) applies to its SOUL Electric Vehicle (EV) stuffed with bio-plastics which made its debut at the 2014 Chicago Auto Show. Kia Motors Corporation announced that the company’s new Soul EV (electric vehicle), which had its world premiere at the 2014 Chicago Auto Show, has achieved UL Environment validation for bio-based organic carbon content for 10% of its interior materials. UL Environment is the environmental business unit of UL (Underwriters Laboratory), a global independent safety science company. Various bio-based materials have been applied to the Soul EV, such as bio degradable plastic, bio-foam and bio-fabric. Kia has paid particular attention to the use of eco-friendly materials, with bio-based plastics derived from cellulose and sugar cane found in everything from the door panels and headliner, to the seat trim, roof pillars and carpeting, while BTX-free paint adorns the audio system surround, vent bezel and the floor console. There are even antibacterial materials used on the gear selector, audio and HVAC controls, instrument panel switchgear and the floor-mounted center console. Kia Motors is dedicated to providing customers with products and services that exceed expectations. Kia Motors brand , wit a value of USD 4.1 billion is ranked 87thr on the Interbrand’s list of the world’s top 100 global brands .